While the canines and horses fought alongside their beloved humans during the war of the First Kingdom, the cats, mice and rats debated among themselves. Eventually most of the cats threw their lot in with the humans and even the normally timorous mice elected to side with humanity against the demons (the human mastery of cheese was instrumental winning over the mice). The rats, however, remained undecided at the start of the war. Their deity, the Rat God, remained neutral in the conflict and did not side with the forces of order or the demonic forces. While the rats mainly lived in human cities, they remembered well that before the war humans had attempted to be rid of their kind, often by employing cats. While most of the rats remained technically neutral, some of them actively aided the demons or at least benefited from their actions. A small number of rats did join the battle with the demons and legend says that they were rewarded for this role by being transformed into the ratfolk. While some scholars debate this, others claim that the rats that allegedly became the ratfolk were actually the victim of a curse. While the First Kingdom fell before the onslaught from the Abyss, humanity survived. While the humans brought their loyal horses, dogs and cats (and even the mice) with them to new lands, the rats simply tagged along having grown accustomed to dwelling within and under the cities of humans. The gods of order rewarded the heroes of the war, famously granting the cats the golden cows. When the rats pushed their way forward to demand their reward, the gods turned away from them—with few exceptions they had done nothing worthy of reward during the war. Angered by this, the rats demanded a reward. In response, the cats mocked the rats, offering them the spilled milk left on the ground from their magic milk feast. Enraged by this, the rats made to attack the cats, but were driven away by the roars of the great cats. These rats fled into the dark and hidden places and plotted their vengeance over the centuries. The rats were able to kill a few of the golden cows and were overjoyed when they learned that only one cow remained. They were dismayed when the gods intervened and placed it within a dungeon, promising that if it were found by a cat, then the line of cows would be restored with the birth of golden calves. Determined to prevent this from happening, the Sewer Gang (a thieves guild composed of wererats) dispatched agents to find the location of the dungeon of leche and to ensure that anyone able to acquire the cow would meet a terrible fate—along with the last cow. While the Sewer Rats failed in their first attempt to kill the golden cow, they learned that they will have a second change at revenge. According to the decree of the gods, the golden cow must be returned to the temple where it was housed and only then will it give birth to golden calves. 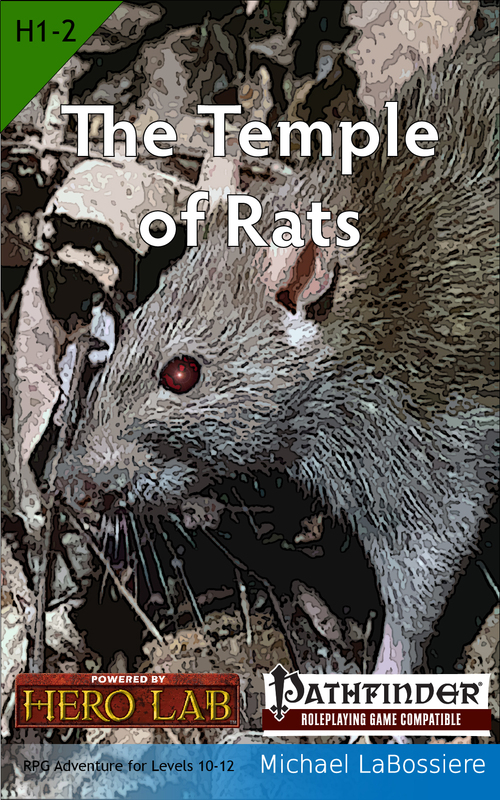 To prevent this from happening, the rats long ago took over the abandoned temple and stole the altar from it.